Back to bread yesterday! I missed two days of the Bread Challenge last week, because I overloaded on other foods, and didn’t feel like stuffing down an additional pound of bread on those days. I can still probably meet the pound of bread a day average for the month, which is ending in a few days. 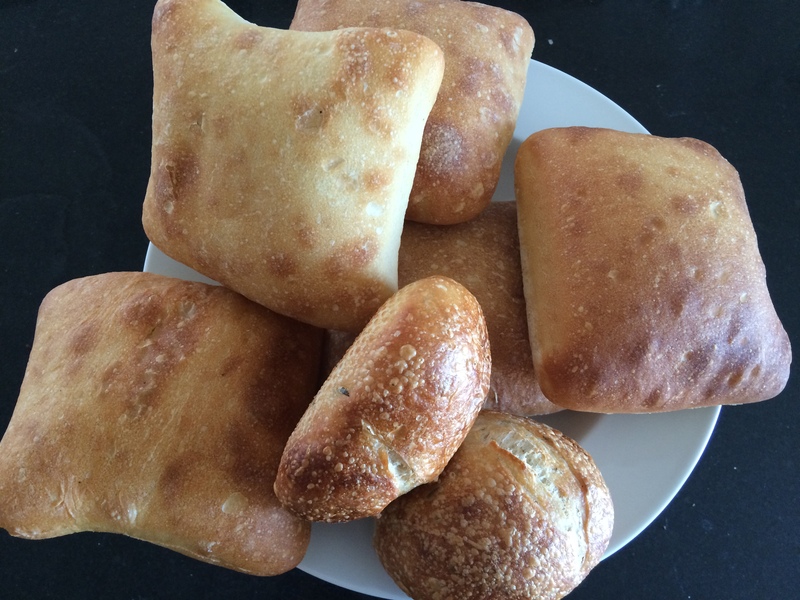 For Day 26 of the Bread Challenge I ate 700g of ciabatta buns and rosemary rolls. I’m off for a workout on the bike now, and to buy more bread.